Discover this beguiling Italian island, a rich center of Mediterranean culture and home to some of Europe’s most enchanting vistas. At some point during its history, Sicily has been occupied by almost every major Mediterranean civilization. The area continues to serve as an important crossroad between Africa and Europe. This largest of Italy’s islands has landscape with a mesmerizing combination of crystal clear seas, rumbling volcanoes, lush vegetation and ancient ruins. Dive, swim, hike and climb across Sicily and its offshore islands. Sample the region’s unique and delicious cuisine as you travel from town to town. Sicily’s capital, Palermo, is an intriguing mix of architectural styles and cultures. The city has been ruled by Phoenicians, Romans, Arabs and Normans, each of which has left its mark on the city. Today, Palermo’s streets are filled with a pleasing jumble of Roman, Byzantine and Arab-Norman architecture. Walk through the infamously chaotic streets, enjoying the bustling atmosphere of its outdoor markets and public squares. Taormina is one of Sicily’s most enchanting towns. 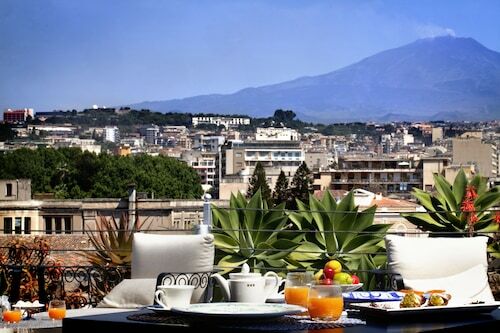 From its magnificent mountainside setting, the town offers stunning views of the Ionian Sea and the peak of Mount Etna. Wander down the busy main street lined with upscale shops or explore Teatro Greco, a gorgeous Greek theater constructed in the 3rd century B.C. Discover lovely medieval churches throughout the town and trek along the hiking paths extending into the surrounding hillsides. Venture to the UNESCO-protected Aeolian Islands, located off Sicily’s northeastern coast. This archipelago of seven islands draws outdoor enthusiasts, offering opportunities to hike active volcanoes, swim in deep blue waters and snorkel over underwater fumaroles. Relax on the black-sand beaches of the small island of Vulcano, join well-heeled visitors spending their summers on Panarea or escape the crowds on remote Alicudi. Sicily is served by three main airports: Palermo, Catania and Trapani. You’ll have no trouble reaching the region’s cities and coastal resorts by bus and train, but a car or motorbike is generally necessary if you want to explore more remote areas. The capital of the Mediterranean island of Sicily is one of Europe’s oldest cities. Explore ancient architecture, see medieval mummies and enjoy Sardinian cuisine. Explore the northwestern corner of Sicily, a province of scenic beauty that excites with its hillside towns, ancient heritage, medieval churches and beaches. Stunning 14th-century architecture, medieval art and fabulous beaches await the holidaymaker to this town on the west coast of Sicily. Once the largest city in the ancient world, Syracuse features many of Sicily’s finest examples of Greek and Roman ruins. Shop for local wine and Sicilian delicacies, and enjoy the bright colors and delicious smells of this lively marketplace. 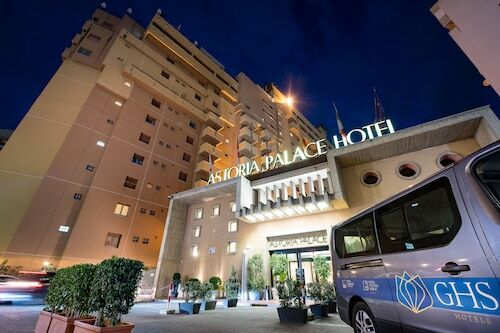 Situated in the historical district, this hotel is within a 15-minute walk of Parco Duca di Cesaro, Corso Umberto, and Taormina Cable Car. Greek Theatre and Isola Bella are also within 3 mi (5 km). 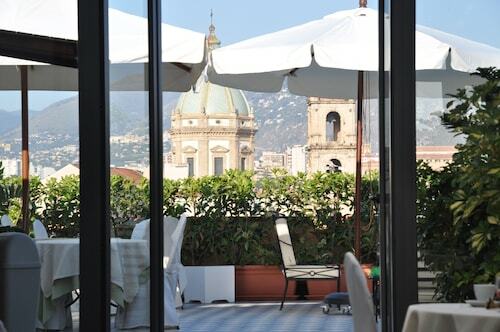 Located in the heart of Palermo, this hotel is within 1 mi (2 km) of Villa Zito, Palermo Harbour, and Via Roma. Politeama Garibaldi Theater and Teatro Massimo are also within 2 mi (3 km). Giachery Station is 5 minutes by foot and Fiera Station is 9 minutes. 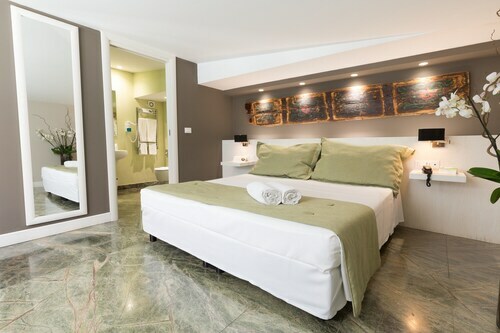 Located in Kalsa, this spa hotel is within a 5-minute walk of Via Maqueda and Via Roma. Cathedral of Palermo and Teatro Massimo are also within 10 minutes. Palermo Central Station is 12 minutes by foot and Palermo Palazzo Reale-Orleans Station is 14 minutes. 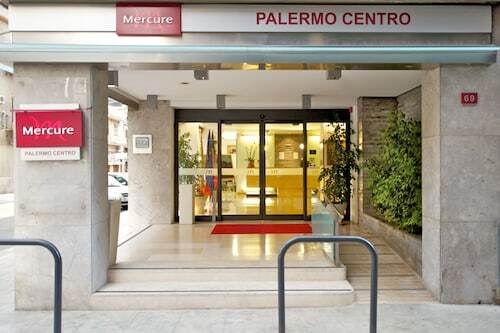 Situated in Palermo, this hotel is within a 10-minute walk of Regional Archaeological Museum and Teatro Massimo. Martorana (Santa Maria dell'Ammiraglio) and Church of San Cataldo are also within 1 mi (2 km). Giachery Station is 18 minutes by foot and Palermo Central Station is 22 minutes. 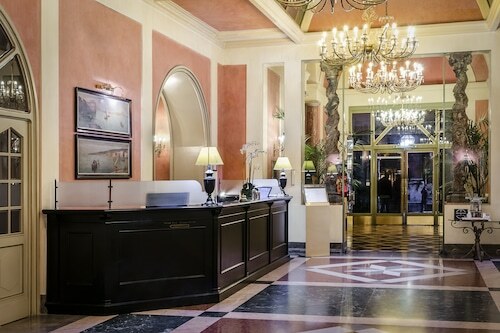 This family-friendly Palermo hotel is located in the historical district, within a 5-minute walk of Via Maqueda and Via Roma. Cathedral of Palermo and Teatro Massimo are also within 10 minutes. Palermo Central Station is 12 minutes by foot and Palermo Palazzo Reale-Orleans Station is 13 minutes. 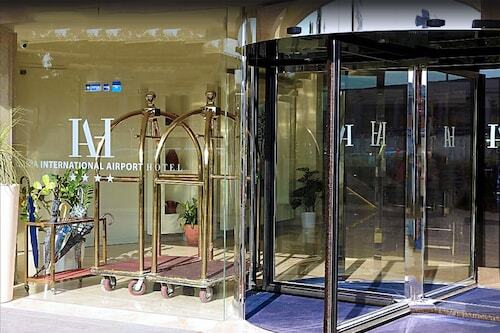 Located in Kalsa, this romantic hotel is steps from Via Maqueda and Via Roma. Palermo Harbour and Ballaro Market are also within 10 minutes. Palermo Central Station is 7 minutes by foot and Palermo Palazzo Reale-Orleans Station is 17 minutes. Fri., 11 Oct. - Sun., 13 Oct.
Wed., 11 Sep. - Sat., 14 Sep. Looking for Flights, Hotels, Car Hire and Holiday Rentals in Sicily?